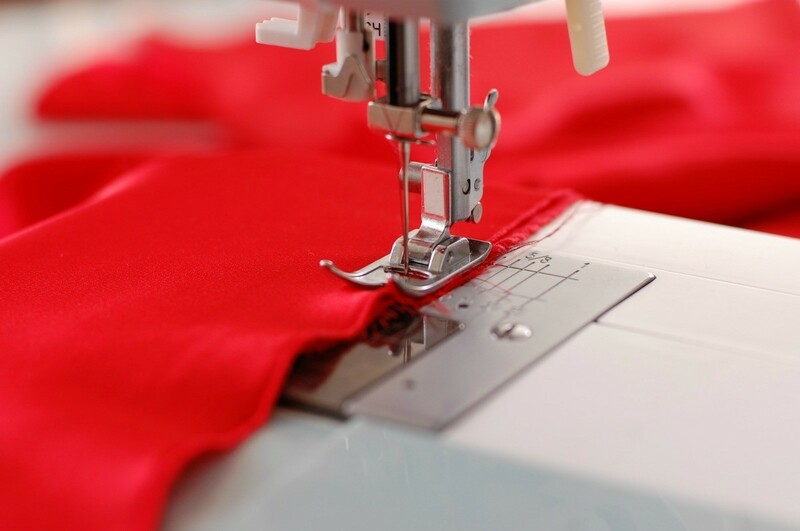 If you have difficulties sewing fleece fabric on your machine, there are a few things you can try to make it easier. This is a guide about sewing fleece on a sewing machine. I have been trying to make fleece scarves and blankets and have had to sew them by hand. My sewing machine will not stitch over the fabric. Any hints would be appreciated. Thanks a lot. Try using a walking foot which will help move the top and bottom of the fabric or fabrics at the same time or try using a tear away stabilizer on the top and bottom. If you sew close to one edge of the stabilizer you can continue to use the tear away until you have used it all up. I have even used adding machine tape, (used or unused), made a good crease and torn it at the sewing line to help remove it. Lots cheaper than stabilizer and is one way to use long lengths of adding machine tape that is used. When I was sewing if I had a problem seam I used to place a thin strip of tissue paper along the edge being sewn-this gave the foot feed something solid to grip. I sew fleece quite often and don't have any problems. One thing I have learned that helps is to lengthen your stitch. Try relaxing the tension on your footfeed. Seems the fabric is too thick to go through the machine with the present tension on the footfeed. I use a longer stitch just like Robbie. I also use a slight zig zag stitch on anything stretchy. The seams will still lay flat as long as you don't make it real wide. If your machine has the old fashioned hem stitch (looks like the line on a cardiogram) that works too. Along with adjusting the tension, make sure you use a sharp needle that is the correct size for the fabric you are using. Sometimes all I needed to do was change a dull needle and everything was fine. Look on the package for the information. I have made lots of fleece jackets and never had to change the stitch length or tension, and never had any problems, even with making buttonholes in the jackets. For making blankets, what I do is get two pieces of fleece the same size, lay them on top of each other, make sure all the edges are straight, then cut out a 3" square on each corner, then cut fringes 1/2" wide, by 3" long, all the way around. When done doing this, tie the two layers together using the fringes. These blankets are real popular in SD.